This Week’s reading is an excerpt from Michel Foucault’s book Discipline and Punish which explores the prison system and how it was born out of the security imposed upon the ‘plague-stricken town’ of the seventeenth century (Foucault, 1997, p.205). Foucault also introduces the reader to Bentham’s design of the Panopticon – a cylindrical wall of prison cells with a large tower at its centre. In this analysis of the week’s reading I will outline the basic points that Foucault has made and make some connections of my own drawing from media and literature sources. I will also add to Foucault’s discussion of the Panopticon by drawing on its symbolic connotations and how they relate to the prison system, the individual and society as a whole. Word? The reading begins with Foucault describing a typical scene of a seventeenth century town that has been contaminated with the plague. The writer vividly illustrates the process of security that is put in place to avoid further contamination, and in doing so sets up the reader to notice similarities between what is being described, and what we know of the modern day prison system through books, movies, and crazies on the street. Foucault states that every town inhabitant must stay indoors while the front door is locked from the outside; ‘each individual is fixed in his place. And if he moves, he does so at the risk of his life, contagion or punishment… only the intendants, syndics and guards will move about the streets’ (Foucault, 1997, p. 195). This is very similar to what is done in prisons during ‘lights out’, where all the prisoners are made to go back into their cell, which is then locked, leaving only the patrolling guards and officials on the prison grounds. Foucault (1997, p. 196) continues his description of the plague stricken town by mentioning the guards stationed in observation towers at each of the town gates, in the town hall and in every quarter. This is to ensure that the town people are obedient and comply to the rules, and ‘also to observe all disorder, theft and extortion’. It is clearer than sky now that the prison was born out of this seventeenth century scene, which even has townspeople being summoned to their windows for the daily roll call. Prior to reading this weeks reading the word plague had always conjured up funny images of Monty Python and the Holy Grail (1975) ‘bring out your dead’ scene, but never images of a disciplined society reminiscent of a prison. Thanks a lot Foucault! The film Bad Boys (1983), a movie sadly swept under the rug due to Martin Lawrence and Will Smith’s movie of the same title, revolves around the actions of Sean Penn’s character Mick O’Brien, a boy who gets sent to a juvenile detention center for committing a crime (I will use this movie to make some comparisons with Foucault’s text). 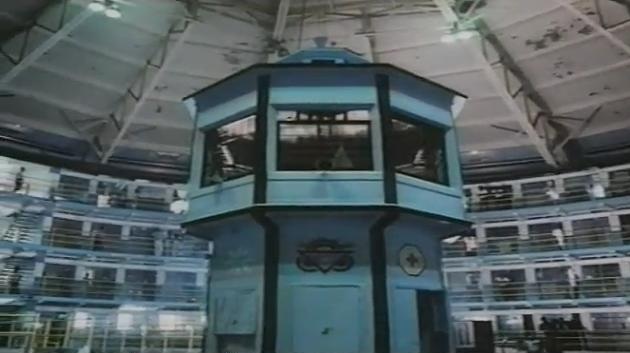 The movie contains all of the elements that are present in Foucault’s (1997, p. 196) description of the ‘system of permanent registration’ – the juvenile detention center has the lights out, the daily roll calls, the guards on patrol and keeping watch in the observation post, solitary confinement and also as Foucault (1997, p. 197) describes, ‘the process of purifying the houses one by one’ which takes the form of regular room inspections, in which the cells are purified of any contraband such as drugs and weapons. If the plague riddled town is a ‘compact model of the disciplinary system’ (Foucualt, 1997, p. 197), then the juvenile detention center serves as a small scale model. Foucault (1997, p. 198) makes a point that the plague gave rise to this model, while the leper, or plague infected person gave rise to the ‘great confinement’, which in modern times is referred to as solitary confinement. The idea of exiling the leper to solitary confinement stems from the fear that he might infect other townspeople, in the case of modern day prisons solitary confinement has a similar agenda; to make sure that the often violent nature of the individual in question is not at risk of tainting the minds of the other reforming criminals. 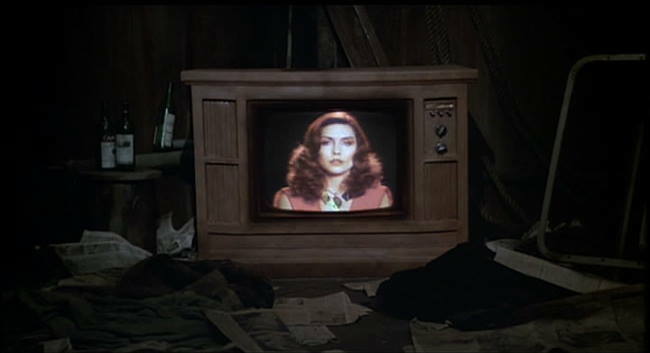 An obvious example of such treatment in modern media would be the film Silence of the Lambs (1991), which depicts the dangerous (and thankfully fictional) cannibal Dr Hannibal Lector completely isolated in a glass room, in which he can be observed safely and kept at a considerable distance from other people. Dr Hannibal was ‘cut off from all human contact’ (Foucault, 1997, p. 198) and treated as a plague-victim; a monster consumed by insanity. Due to the severity of his disease his cell was the only one in the prison to be made of glass. This process of ‘individualisation to mark exclusion’, as described by Foucault (1997, p. 198), was used frequently from the beginning of the nineteenth century in prisons and asylums. Binary division was also regularly exercised, which is the branding of a patient or prisoner as either being sane or insane, dangerous or harmless etc. In the film Dr Hannibal lector, an ex-psychiatrist, seems perfectly sane in the way he talks and presents himself when compared to some of the other prisoners; however, he is labelled as insane due to his violent behaviour. It begs the question: is it right to label someone based purely on their behaviour? The character Rachel Solando in Martin Scorcese’s Shutter Island (2010) emphasises the branding predicament when she says ‘Once you’re declared insane, then anything you do is called part of that insanity, reasonable protests are denial. Valid fears, paranoia’. Now it’s time to dissect the meat of the reading, which is Bentham’s Panopticon – an architectural design implemented in prisons. Essentially the Panopticon was a large central tower that was surrounded by a circular wall of prison cells, the tower was structured and positioned in such a way that the prisoners could not see the guard observing from inside the tower, but he could see them. This all seeing eye of the Panopticon had the power to ‘induce in the inmate a state of conscious and permanent visibility that assures the automatic functioning of power’ (Foucault, 1997. P. 201), its power being derived from its duality of being visible and at the same time unverifiable. The prisoner could always see the tower, and even in the darkness could see its tall outline, but the prisoner could never know if he was actually being looked at, even though its presence made him always assume that he was. Technically a guard didn’t even have to be inside the tower, because the towers purpose was ultimately not to watch, but to make the prisoners watch themselves. The fortress like prisons of the past were no longer necessary in the light of the Panopticon. It sought to replace the old ‘houses of security’ with a ‘house of certainty’ (Foucault, 1997, p. 202). This should be considered a good thing considering it eliminates the need for ‘ruined prisons, littered with mechanisms of torture’ (Foucault, 1997, p. 205). Foucault (1997, p. 207) states that anyone can come in and exercise surveillance control in the Panopticon tower if they wish, to observe the process of observation. Any member of the public can come into the prison and see how the whole thing is run. In the film Bad Boys (1983), Sean Penn’s character is taken to a ‘major league’ prison in an effort to scare him into not causing any more trouble in the juvenile detention center. The prison just so happens to be a Panopticon set up, and as the camera pans around the circular room, never losing its fix on the central tower, you can sense the powerful presence of the Panopticon as all the prisoners are fixing their gaze upon it. Foucault (1997, p. 207) argues that due to the fact that any member of society can observe the disciplinary mechanism, there is no risk ‘that the increase of power created by the panoptic machine may degenerate into tyranny’. I somewhat disagree with this assertion as it doesn’t matter who you have in the tower, whether it be a guard, a school boy, or nobody at all – the power of the ‘panoptic machine’ still exists. Sure it may be comforting to know that the machine is ‘democratically controlled’ but to what extent is it really? The ‘panoptic schema’ (Foucault, 1997, p. 206) is an archetype of observation that has existed as long as religion. The eye that observes all our behaviour and judges it, but which we cannot see ourselves, is a common trait of the many omniscient Gods found in religion. The average person cannot physically see God, yet they still sense his presence and carefully watch and moderate their actions and thoughts out of fear of being punished by him, in this life or the next. This eye of God has naturally been replaced by the eye of law, which ensures that people follow laws and act as though a cop is lurking behind every tree and street corner, despite the fact that they are often not. One can’t help but draw comparisons between the Panopticon structure of the prison and the panoptic symbol of law present in society. One also can’t help but relate all this to George Orwell’s dystopic novel Nineteen Eighty-Four (1949), which depicts a panoptic society run by Big Brother – the all seeing eye that watches every move and thought – that results in people supressing their thoughts and carefully watching their every action as they are always under the spotlight of law. Foucault (1997, p. 204) mentions that the ‘Panopticon may even provide an apparatus for serving its own mechanisms’, in saying this he means it in the literal sense you can use it to observe or spy on all the employees as well as the prisoners, but I am going to swim away from these shallow waters and into the deep end by taking his words symbolically. Foucault believes the ‘Panopticon functions as a kind of laboratory of power. Thanks to its mechanisms of observation, it gains an efficiency and in the ability to penetrate into men’s behaviour’, the Panopticon serves as a microscope in which man can be put under and observed, but on the flip side one can use it to observe himself. I’m not talking in the sense of careful observation of one’s own behaviour to avoid punishment, but in the observation of the mind. Vipassana, which literally means insight, is India’s oldest meditation technique and was discovered by Gautama Siddhartha Buddha more than 2500 years ago. The technique is referred to as ‘the art of living’ and involves self-transformation through self-observation; breaking down impurities of thought to leave the meditator liberated from negative feelings such as hatred and anger. By engaging in Vipassana meditation the subject takes advantage of the panoptic power of the mind to carefully scan and observe, and eventually untie the knots of tension that are within us. The body and mind is a perfect metaphor for the Panopticon: our body is the tower while our mind is the unseen observer inside. We can never physically see this observer, and it changes like the seasons (sometimes it’s not even there), but it always observes our own actions and the actions of others around us. Through Vipassana meditation one can enter the tower and focus its energy on alleviating fear rather than creating it. You are probably wondering what any of this has to do with the topic of prison. I agree, which is why I’m going to use this opportunity to link this point to a documentary titled Doing Time, Doing Vipassana (1997). The documentary is based in India’s largest prison, Tihar Jail, outside of New Delhi, which contains 10,000 prisoners, 9,000 of which are still awaiting their trial; the narrator comments that ‘a pickpocket may find himself waiting 6 years to receive a 1 year sentence’. This prison was the birthplace of one of the most radical experiments to be conducted in a prison environment (the most radical belonging to the Stanford Prison Experiment), the replacement of standard practices of discipline with Vipassana meditation in an effort to reform the imprisoned individual. After all, ‘We are all prisoners undergoing a life sentence, imprisoned by our own minds… hostages of our anger, fear, desire’ (Doing Time, Doing Vipassana, 1997). In an effort to help the prisoners come to terms with their negative feelings and actually commit a positive change within themselves, the prison implemented the 10 day Vipassana course, in which prisoners would not be allowed to talk for the entire duration, and would meditate for 10 hours a day. Vipassana teacher Ram Singh asserts that the prisoners ‘will not live in jail all through their lives, they will come out in the society, and if they are not reformed they will commit more crimes’, this is why it is essential to do something radical to help reform the prisoner and keep him out of jail. Short of brainwashing the prisoners, Clockwork Orange style, this is the most radical method of reform implemented by a prison. The 10 day Vipassana course accommodated 1000 prisoners – the largest group meditation ever conducted – and after its conclusion the Inspector General Kiran Bedi states that the course ‘Actually changed people. It made [the] prisoners weep, it made them cry; they had realised what life could actually be, they had looked within, and within themselves they had seen the feeling of revenge, they had seen anger… and they wept, they wanted to be different’. Prisoners who previously denied having done anything wrong, to others or society, could now see and acknowledge the damage they had done, they admitted to the venom in their fangs, and ‘that realisation was the greatest magic’. You might be thinking, sure that’s all well and good for India, but what about the western prison? Valid point, another documentary, titled Dhamma Brothers (2007), documented the reproduction of the Vipassana course in Donaldson Correctional Facility in Alabama, which produced very similar results. The course was described as being like ‘a prisoner going into lockup, but in a good way’ and was actually based on a stricter schedule than the one the prisoners were used to. In a way Vipassana meditation contains all the methods of discipline that are outlined in Foucault’s book, after all meditating 10 hours a day for 10 days with absolutely no talking is one of the most disciplined activities one can partake in, it is also a form of solitary confinement in the sense that even if you are surrounded by others, the entire time you are enclosed within yourself, exploring your own mind. This stream of thought we have floated down brings us to the question of whether Vipassana meditation can serve as replacement to the Panopticon. Could meditation be the future for prisons and the disciplinary system? One would hope that introspection will eventually replace surveillance in the Panopticon of the future. Ariel, E & Menahemi, A 1997, Doing Time Doing Vipassana [DVD], Director E Ariel & A Menahemi, Karuna Films, India. Demme, J 1991, Silence of the Lambs [DVD], Director J Demme, Orion Pictures, United States. Foucault, M., 1977, Discipline and Punish: The Birth of the Prison, translated by Alan Sheridan, Penguin, London, pp. 195-228. Gilliam, T & Jones, T 1975, Monty Python and the Holy Grail [DVD], Director T Gilliam & T Jones, EMI Films, United Kingdom. Kubrick, S 1971, A Clockwork Orange [DVD], Director S Kubrick, Warner Bros., United States. Orwell, G 1949, Nineteen Eighty-Four, Secker and Warburg, London. Phillips, J, Kukura, A & Marie-Stein, A 2007, The Dhamma Brothers [DVD], Director J Phillips, A Kukura & A Marie-Stein, Northern Light Productions, United States. Rosenthal, R 1983, Bad Boys [DVD], Director R Rosenthal, Universal Pictures, United States. Scorcese, M 2010, Shutter Island [DVD], Director M Scorcese, Paramount Pictures, United States. This entry was posted in essay, film, film analysis, media studies, writing and tagged 1984, big brother, foucault, meditation, panopticon, prison, surveillance, vipassana by Michael Cunningham. Bookmark the permalink. I do consider all the ideas you’ve offered for your post. They are really convincing and will definitely work. Still, the posts are too brief for starters. May just you please extend them a little from subsequent time? Thank you for the post. site, i am visiting this site dailly and get nice facts from here all the time. involves selling other peoples products through your website.